We are so excited to finally introduce the new Airside Andy kids play area, which opened last month in London City Airport. Located in the Western Pier of the airport, this area is designed for families travelling with children. We know it can be a bit of a nightmare running around the airport with overexcited children in tow- so here is the answer to your problems. 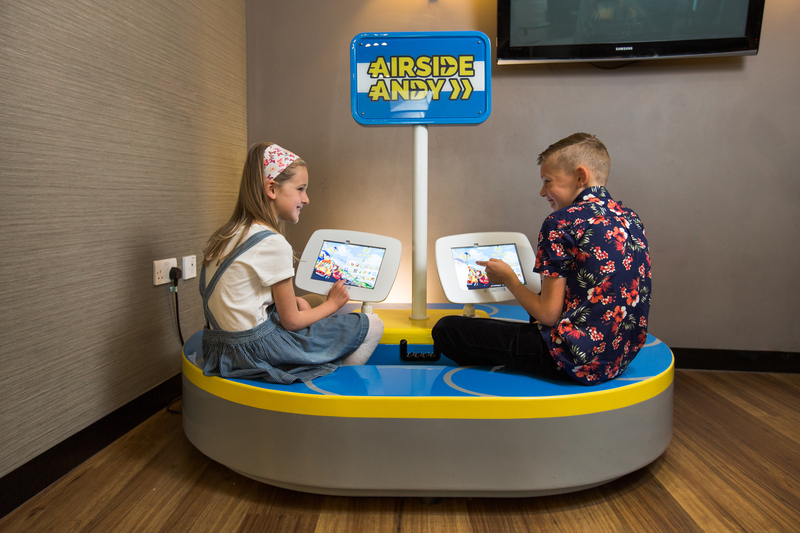 The star feature of this space is, of course, the Airside Andy play-tech pod; this contains two tablets which are loaded with 21 games each, including the Airside Andy game itself. 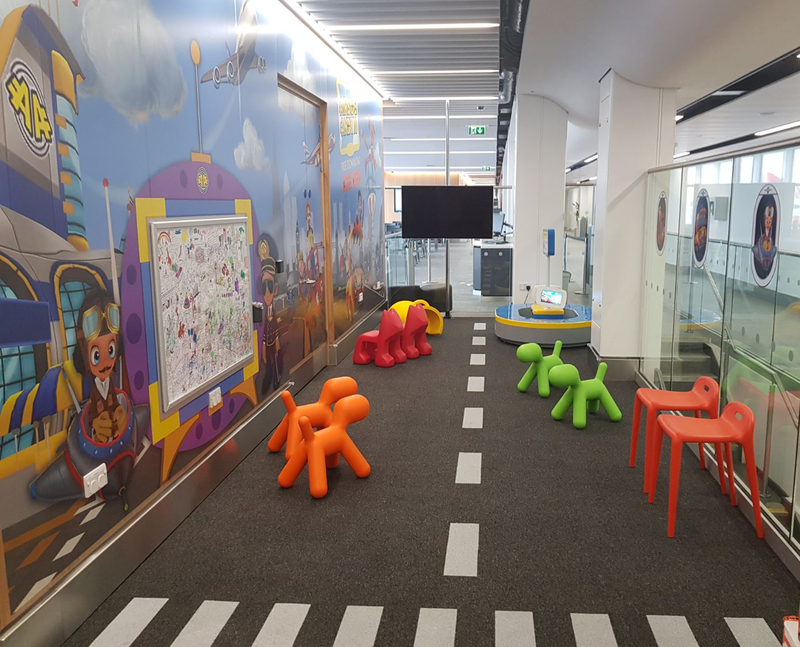 The play-tech pods are also currently situated in Manchester and Newcastle airports, although LCY sees the first ever dedicated, and fully branded, Airside Andy Play Area. Other features of the Airside Andy children’s play area includes an interactive colouring wall, a runway, and a TV playing a loop of well-known kid’s content. A fun seating area makes it the perfect area for kids to play and relax in a safe and contained environment- what more could you want? !